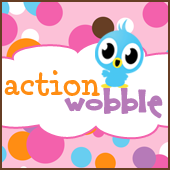 Today I want to share this sweet card with you as I post as a member of the Action Wobble Design Team! The Action Wobble is located under the sentiment S.W. A. K.
"I miss you so much! S.W.A.K." 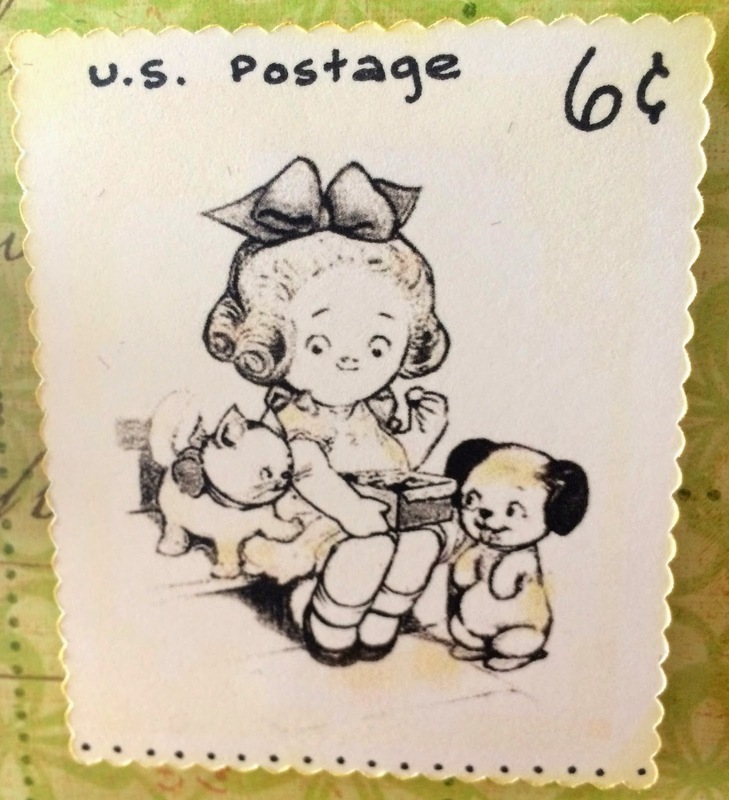 This adorable digi stamp was made into a postage stamp. Using Photoshop, the digi stamp was colored to look vintage. A bit of gold color was added throughout the stamp to make it look aged. An Action Wobble was added to the card (under the S.W.A.K.) to add fun and interest to the card. Very lovely Cindy! 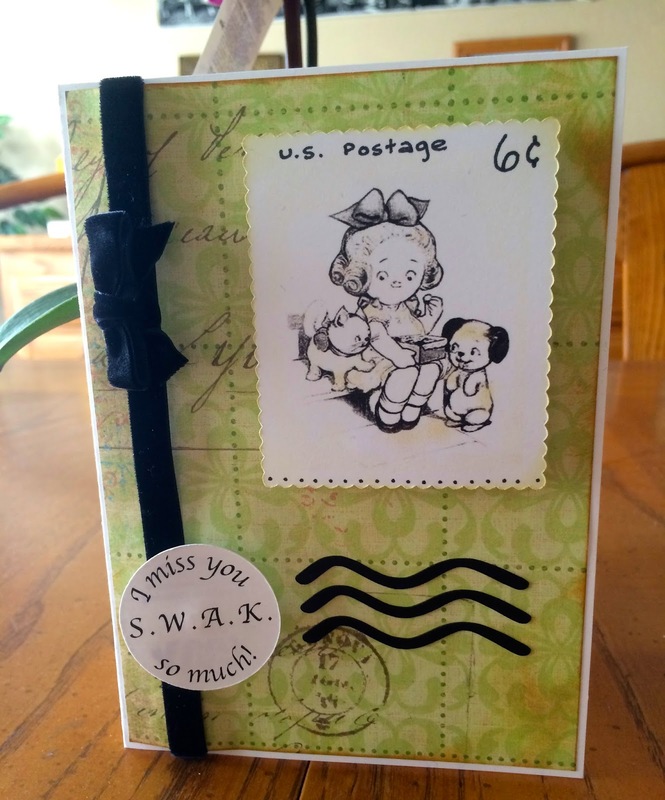 Nice Vintage touch!